We have Light the Night tonight! It's going to be a fabulous night of high-fructose corn syrup and wild fun. There will be game booths, a cake walk, inflatables, great food trucks, a puppet show, a train ride and more! Invite Someone - Please invite a friend or neighbor, especially those who would never normally come to church. Bring Cakes, Cupcakes & Candy - We need a few hundred cakes and cupcakes. For candy, we're looking for miniature chocolates and/or fruity chews like Skittles, Starburst etc.“ Curbside” drop-off is available in the Wellington parking lot today until 5 pm. 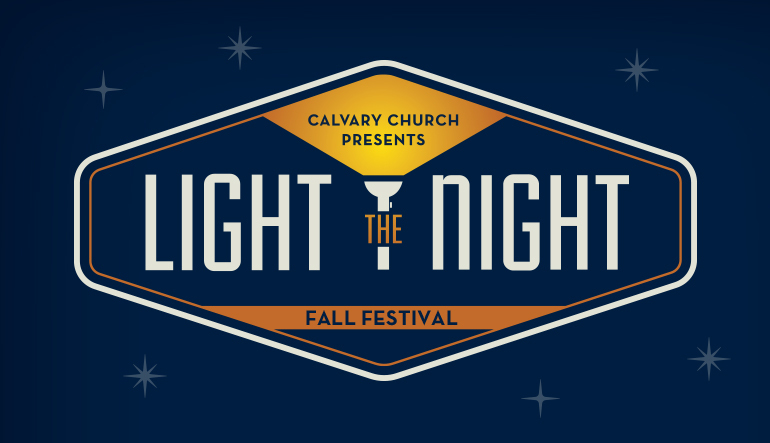 Volunteer in Lil' Light the Night - We need people to help in Lil' Light the Night for the second shift (7:00-8:45pm), playing games with our preschoolers and kindergartner friends! Sign up now by contacting MaryJane Edwards at 714-550-2338 or . Help Clean-up - Tear-down is immediately after LTN at 8:30 pm. Jump in and join the crew and we'll be done by 10 pm!